[Owner Hilly] Kristal plans to move the club far from its roots with a new CBGB's in Las Vegas. The owner plans to strip the current club down to the bare walls, bringing as much of it to Nevada as possible. "We're going to take the urinals," he said. "I'll take whatever I can. The movers said, `You ought to take everything, and auction off what you don't want on eBay.' Why not? Somebody will." 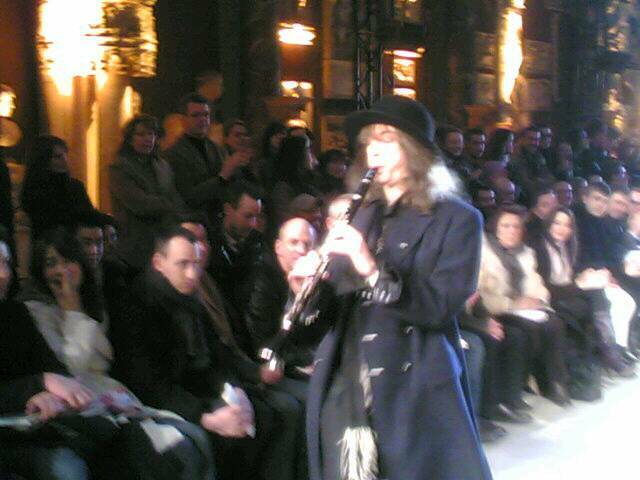 Please, oh please, take Patti's clarinet with you. She doesn't need it, and a Vegas CBGB will sure need some memorabilia to compete with the likes of the Hard Rock Cafe.